Place a plant anywhere and the ambience will immediately become livelier and fresh. But what’s tough is one, to know which plant to get that suits your need; two, make it look aesthetic so it seamlessly blends in your current ambience; and three, where to get it from. Worry not, friends for we have one single answer to all those questions and more. It’s called Plumpy Prickles. 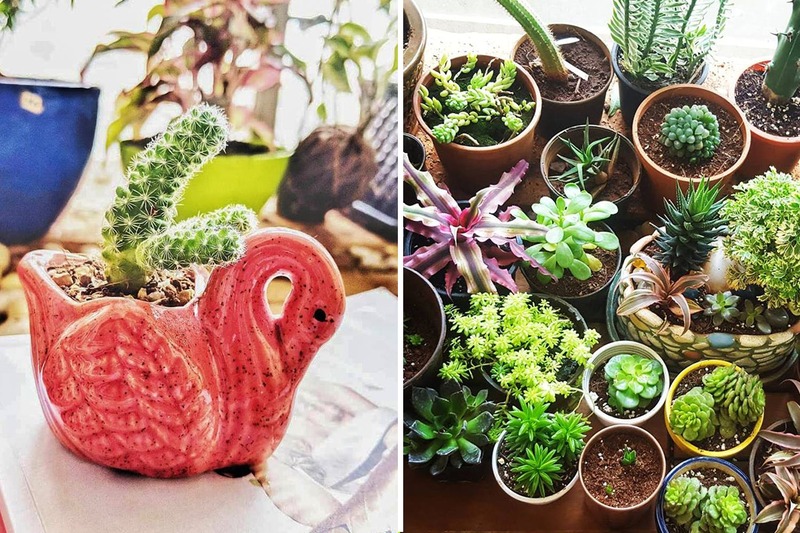 Started by the nature-loving duo – Asheta Menon and Suraj Rosario – they like to call themselves plant designers. They primarily work with succulents and cacti, but also deal in all kinds of other indoor plants. Be it an occasion, or a random splurge day, all you need to do is call them up, explain what you want, and they’ll have it ready within 48 hours. How it works is simple: If you have a decent knowledge about plants and have been wanting one designed, you can just pick up the phone, explain your idea and they will have it replicated. Then you can also go to them with Pinterest or other internet images and they’ll happily make them for you. But if you’re lost, and have little knowledge of what you want, you can still approach them, tell them what you need and they will craft one for you. Their range broadly starts from INR 1,500. But if you want something for lesser, they will create one in your budget too. Their ceramic planters start at INR 900. Then they have succulents in hexagon and round bowls done up with other elements that makes the setup pop for INR 1,750. They also push the creative envelope to come up with planters like the hollow of an uprooted bark which is priced at INR 4,000. Other variants include hanging bulb planters, flat bowls, closed jars, and more. They export all these plants outside the city and work out of their workshop in Borivali. While they have proper delivery boys within the city to ferry these plant setups without damaging them, deliveries outside Mumbai are a little tricky but they make it happen. There’s no better gift than plants. Hit them up, place your order and make your surrounding clean, green and fresh with Plumpy Prickles.